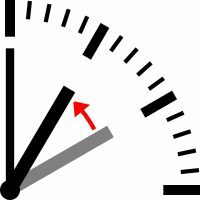 Voters at the California general election on Nov. 6 should vote no to Proposition 7 and say yes to keeping daylight saving time as it is. If the measure passes, it would mean permanently putting the state out of sync with the rest of the country. True, there would no longer be a need to change our clocks every other season, but really, the minor inconvenience twice a year is small in comparison to the headache that would ensue from establishing permanent daylight saving time. California Assembly Kansen Chu originally proposed to keep standard time and get rid of daylight saving time completely, but many opposed the idea on the stance that the afternoon sun was important. Despite this, the change to permanent daylight saving time was met with more positive responses and Governor Jerry Brown signed the new bill as Proposition 7. That kind of positive feedback is unfounded; people need to consider the real life consequences. In theory, it sounds great. We would get more sunlight in the afternoon and never have to worry about changing our clocks. However, if Prop. 7 passes, serious considerations must be made. The idea is that changing our clocks twice a year increases our use of electricity, but no conclusive studies have been made to prove that. Permanent daylight saving time means that California’s time would be off from other states. Aside from Hawaii and Arizona, states follow daylight saving time changes in different regions. This would mean contact with family or friends from out of state may get confusing. Travel plans and the schedule for television programs that run across the nation would be complicated. It would open up doors to a multitude of problems. With Prop. 7, people will find themselves waking up to darkness. It would feel like getting ready for the day in the middle of the night and without the sun in the morning, accidents may occur more frequently. It’s also important to remember that children would be vulnerable walking to school or the bus stop in the morning, as the sun would not rise until 7:55 a.m. The concept of permanent daylight saving time is nothing new. In 1974, President Nixon declared an emergency daylight saving time full-time due to an energy crisis. It was supposed to last sixteen months, but the duration was cut short, after only ten months, because people hated getting up in the dark. The sun rose too late in the day. It’s important to remember that while daylight saving time is beneficial when we’re springing forward and falling back, it isn’t a magical method of creating more sunlight. It simply changes when those hours would be in effect; we follow daylight saving time the way it is now, because it is the most beneficial to us as it is. In the spring, we go forward in accordance to the daylight saving time so that we still have light once we’re home from work. Likewise, we follow standard time in the winter, so it’s brighter in the morning. Another reason to vote no on Prop. 7 is the monumental amount that it will cost us. In 2005, when Congress decided to extend daylight saving time, the Air Transport Association said that it would cost $147 million monthly to keep U.S. flights lined up with international travel schedules. Avoidance of time adjustments is not the answer. Yes, Prop. 7 would make it convenient for us twice a year. But it isn’t worth the headache that would last half the year.